Welcome to Great Women's Vacations, the place to get great vacation ideas for your next girlfriend getaway, sisters trip, or mother-daughter vacation. Keep up to date with the latest news on a regular basis with Great Womens' Vacations on Facebook. 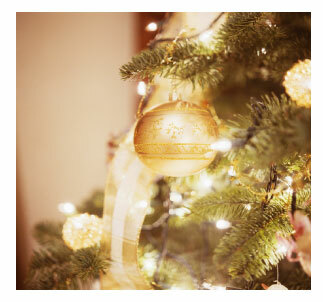 • I love the Christmas season - from the lights to the smells, and of course, the cookies, candies, and spiced drinks! There's nothing more "Christmas-y" than the holiday markets of Europe. But if you can't make it across the pond for the holidays, there are plenty of ways to get into the holiday spirit here at home. • New York City has tons of things to do for the holidays. Aside from the fantastic gift shopping, there's the wonderful tree at Rockefeller Center, and, of course, the Rockettes! • In Chicago (and many other cities), you could enjoy a performance of The Nutcracker or A Christmas Carol, and browse the booths at the largest European-style Christmas market in the US. • San Francisco has a tour of the holiday lights, as does Vancouver - and theirs includes a sing-along of holiday songs! (I know, Vancouver isn't in the US, but it's close enough to get to for a long weekend). Plan a weekend getaway with your girlfriends (or spend some time with your sisters before the holiday itself). You'll have a great time, get in the spirit, and get your shopping done - all in one trip! Next month, we'll talk about Gifts for the Traveler. Until next time - Happy Travels! Great Women's Vacations in Woman's Day Magazine!! Great Women's Vacations has been mentioned in an article in the May, 2011, issue of Woman's Day Magazine. The article, about planning a girlfriend getaway, has lots of tips on how to handle finances, responsibilities, etc - along with plenty of reasons you need to get away with "the girls"! We're mentioned at the end of the article, with other resources for planning your getaway.